As a new mommy, I quickly learned there are so many products out there. I became overwhelmed not knowing where to start. I obviously wanted best for my baby but I had no idea what that was. As soon as James was able to drink water, I began researching sippy cups. I asked friends and family, Google, and read reviews and ended up purchasing a handful of cups to test. None of them stuck until I discovered TwistShake. 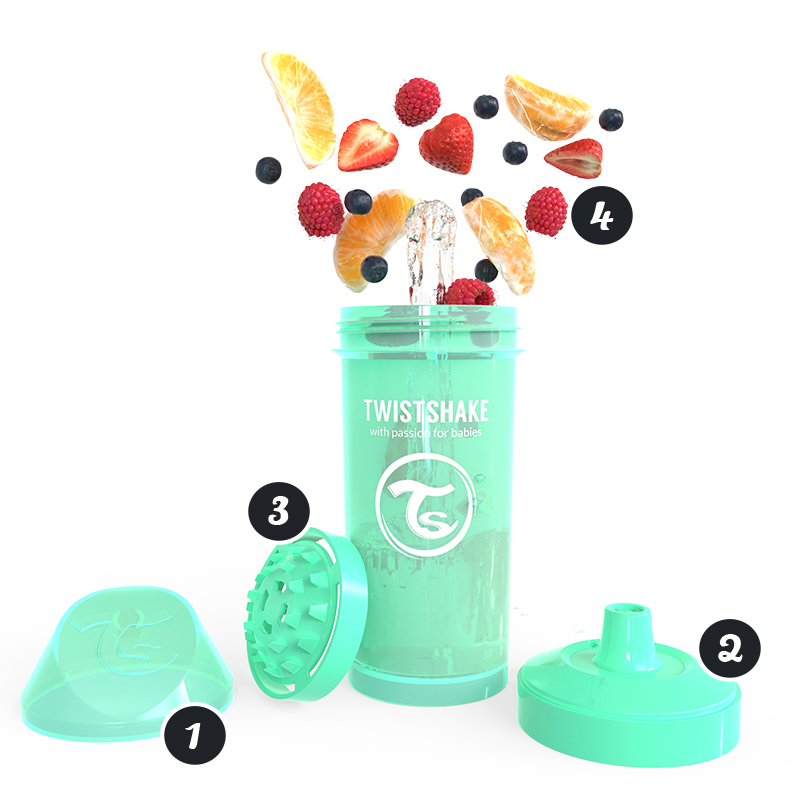 The TwistShake sippy cup has four components: the protective cap, lid with spout, fruit mixer, and bottle. The leak-proof bottle is great for those toddlers on the go. I never have to worry about cleaning up a mess (ok, I do but not from TwistShake…) This bottle is also BPA-free and dishwasher safe! It’s so convenient and easy to use for mama. The colors that TwistShake offers is the biggest decision you will have to make. There are so many bright, beautiful colors, which are actually hard to find on the market. James has the Mint Green but there is turquoise, pink, white, black and many more. You can even mix and match when you buy more than one bottle! That is so fun and even more intriguing for baby to use! My favorite feature is the fruit mixer. James loves his fruit and although we have not tried this yet, I think he will really love it! There is a mixer within the bottle that holds fruit to create fruit infused water for baby without getting clogged in the bottle! I can’t wait to try different fruit combinations. Use coupon code laurenfortsch20 at TwistShake for 20% off the entire TwistShake line! You will also receive free shipping if you spend over $25. Thank you TwistShake for sponsoring this post.